LEE MIN HO LIVE IN MANILA! 6 more days til the korean super star sets foot in Manila to capture the hearts of his Filipino fans. So with that said, I'm giving away 2 Upper box tickets to 2 lucky winners! Read more for the mechanics. 4. 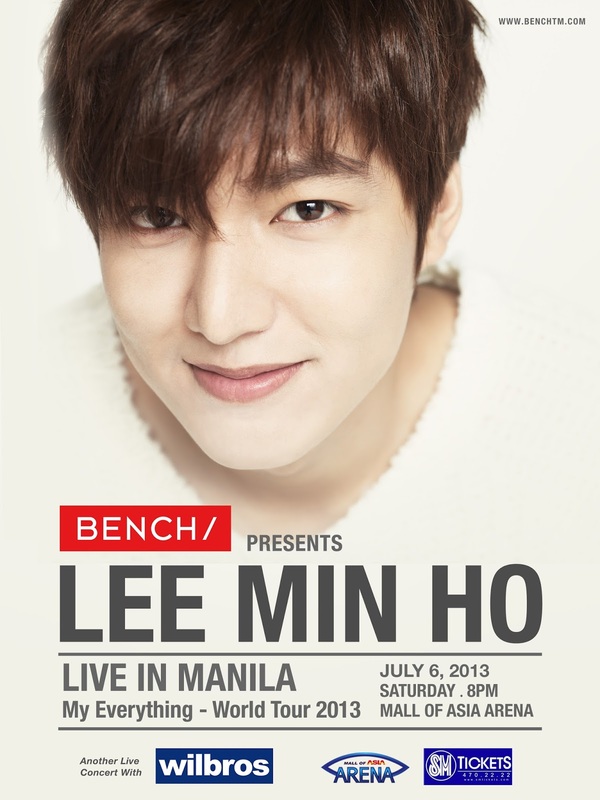 Tweet me why you want to win lee min ho tickets. ex: " I want to win LMH tickets because I'm his number one fan. " I WILL ANNOUNCE THE WINNERS VIA TWITTER ON THURSDAY.